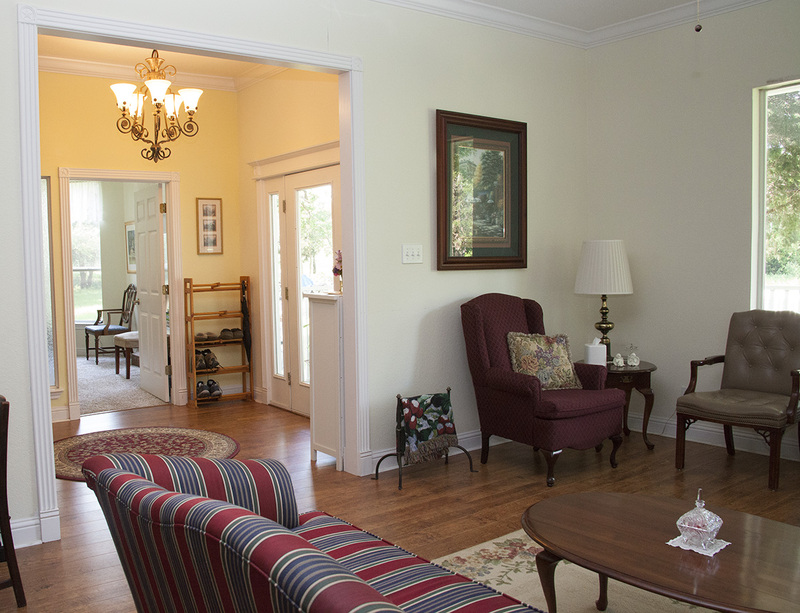 An open Living Area invites you into this beautiful Victorian home. 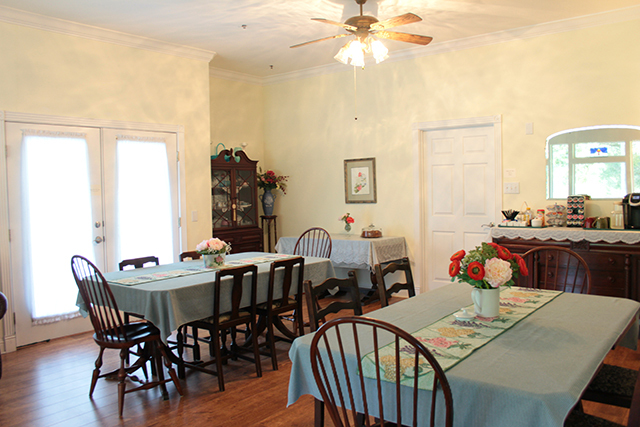 Large open Dining Room is spacious with lots of room at the tables. 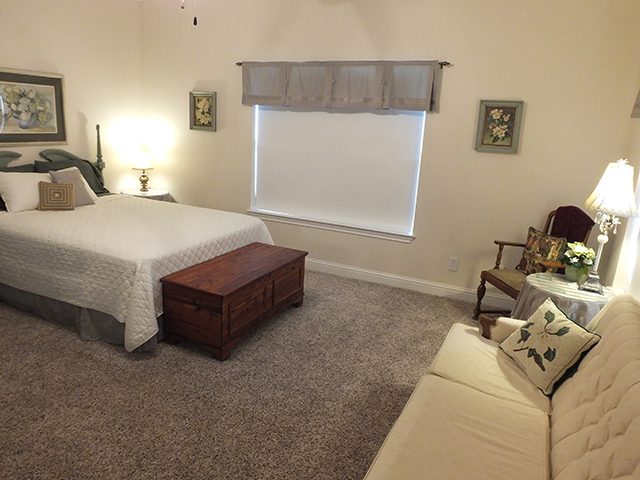 Ellis Suite offers a calm and peaceful atmosphere with a Queen bed and elegant sitting area. 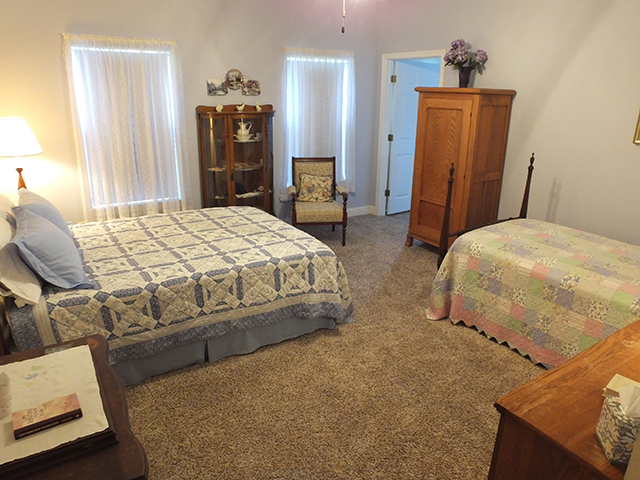 Flower Garden Suite (Grandma's Suite) is furnished with antiques from grandmothers of donors. 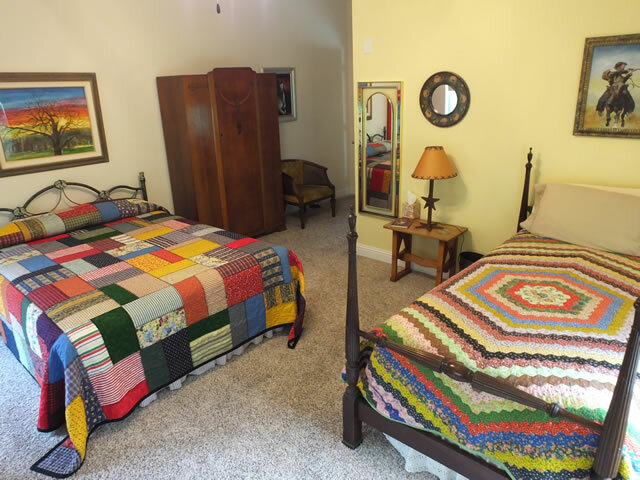 Texas Suite carries out a Texan theme and boasts art from Texan artists. 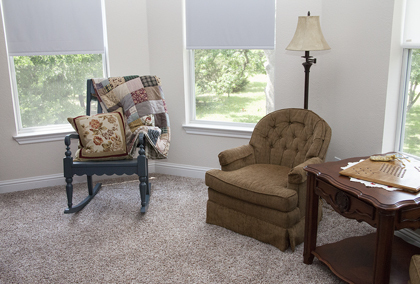 Crain Suite features four windows for a beautiful view of the property from the second story. Crain Suite sitting area with a gorgeous view! 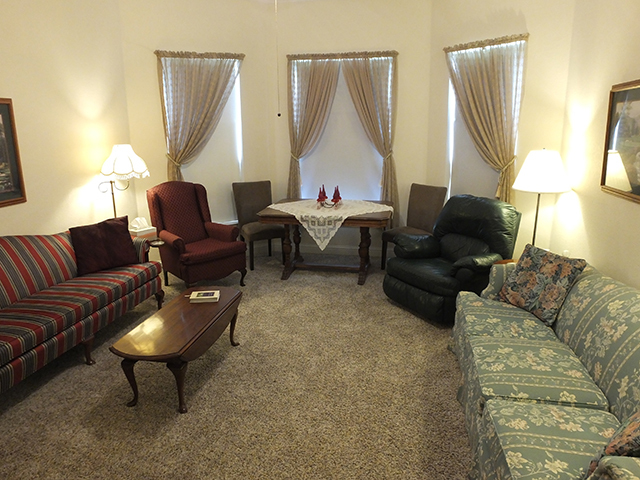 Paul Evan Suite is a large conference room that is useful for retreat groups and private meetings. 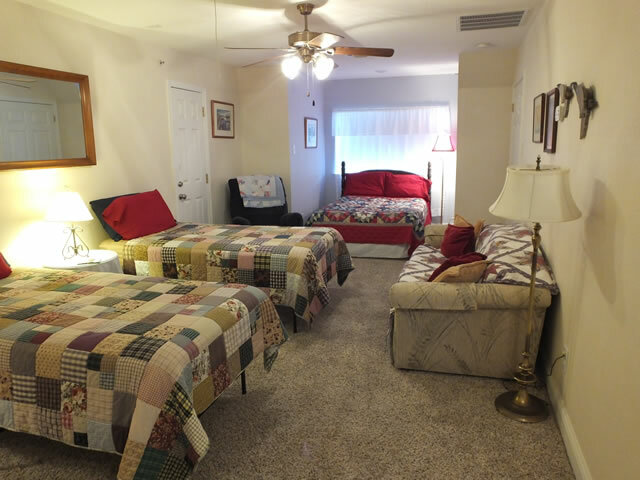 Sunshine Suite will sleep three in this bright and cheery room. The Library is a great place to relax and read. 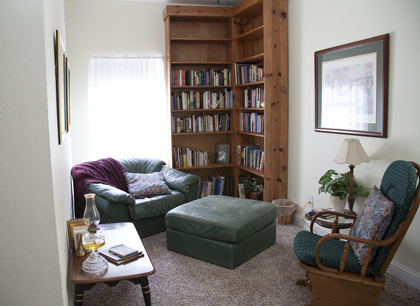 It is a secluded and quiet nook on the second floor. 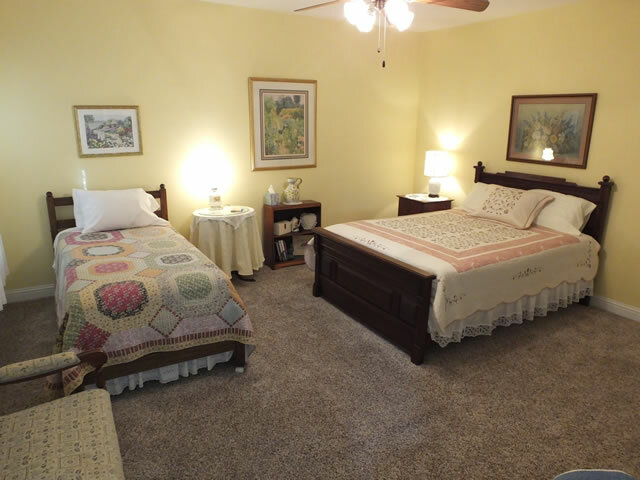 Joni Eareckson Tada Suite features a 2 twin bed. 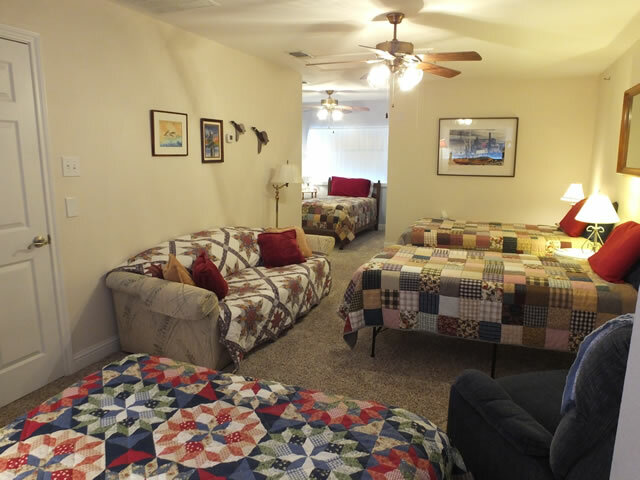 It is designed to accommodate the handicapped guest with ease and comfort. 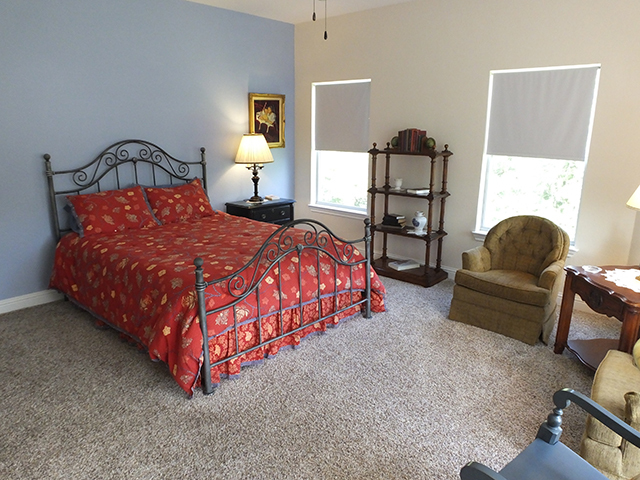 This Upper Room is on the 3rd floor and offers beautiful views of the front and back of the property. 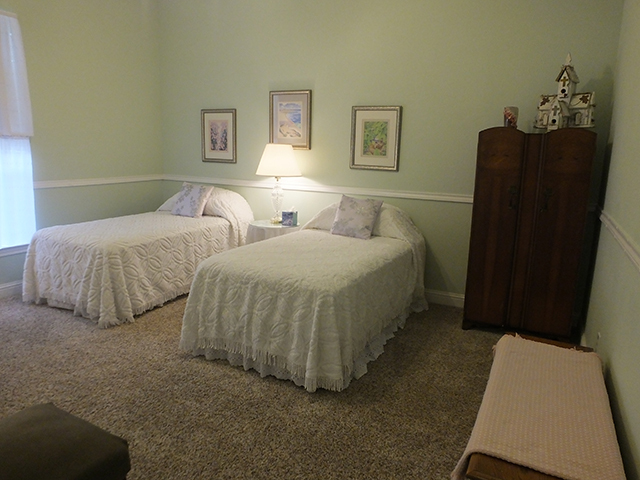 Upper Room houses 3 twin beds, 1 full-size bed and a couch. 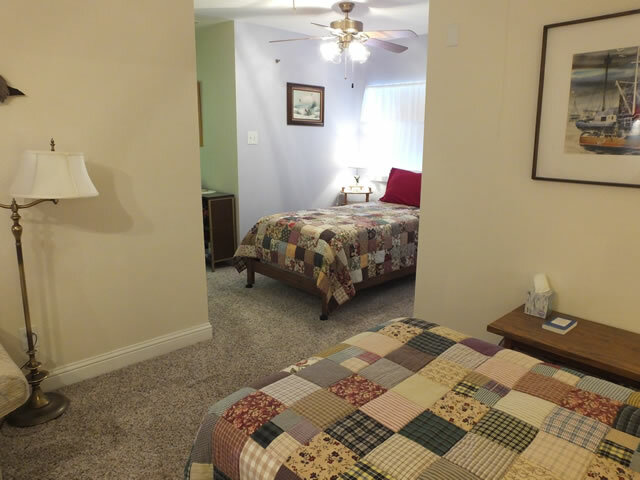 Upper Room includes a dressing area as well as a private bath for your convenience.